Customer loyalty programs are a powerful way of “gamifying” shopping for your customers. When used correctly, they can provide a win-win solution for both your customers and your business. Your customers get a more enjoyable shopping experience, and you get a better bottom line. In this post we will examine why loyalty programs are important, showcase companies that are using them effectively, and tell how you can create your own program in a straightforward way. Why Are Customer Loyalty Programs Important? The most important reason to create a customer loyalty program is to increase your average customer lifetime value (CLV). Your average customer lifetime value is one of the most important metrics your retail business has. And one of the best ways to increase your average CLV is to increase your customer retention rates. This is because the cost of acquiring a new customer can be as much as five to ten times higher than the cost of retaining an existing customer. The question then becomes: how do you retain your customers? There are many ways of doing that, but a customer loyalty program is one solid strategy. Keep your best customers around, longer! Click HERE to learn how by downloading our free customer loyalty program checklist! “It’s so easy for customers who are price-sensitive to slip away or go to a competitor. However there’s an even more important reason to create a loyalty program for your company: super fans. Super fans, or brand evangelists as others call them, are the type of customers who (if treated well) will become vocal ambassadors of your company. You can think about the concept of super fans through the lens of the “80-20” rule. The rule states that 80% of the results in any field come from 20% of the producers. You can do the 80-20 rule one more time and it becomes the “4-64” rule, which means that it’s likely that 4% of your customers are driving 64% of your revenue. They may not do this directly. But through word of mouth marketing and influencing their friends, a small group of committed super fans can make all the difference for your business. 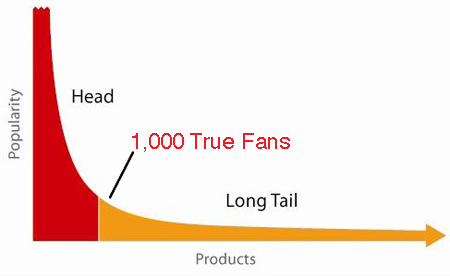 Kevin Kelly talks about this in his article 1000 True Fans. In the article, he states that if you can get a group of 1000 people to buy what you sell year after year, you can make a profitable living as an independent entrepreneur. What matters is that you commit to giving your super fans an amazing customer experience so that they go on to tell others about your business. And since super fans are very active by definition, they tend to enjoy and be involved in customer loyalty programs. For example, according to data from the Bond Loyalty Report, 73% of members are more likely to recommend brands that have good loyalty programs. There are two main types of customer loyalty programs: gamified programs and paid programs. Let’s examine the traits of each, along with some real world examples. Loyalty programs work in large part because humans love games. We play games because they are fun. They challenge us and excite us. 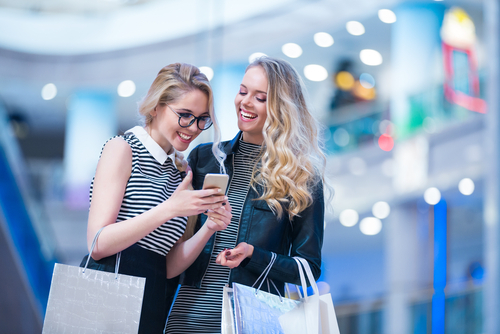 When you use a customer loyalty program in the right way, you turn shopping into a game-like experience for your customers. A good way to view this process is to examine role playing video games, commonly known as RPGs. These games usually involve a main character which, over the course of the game, levels up and gains new skills or abilities. The new skills and abilities motivate players to continue to play. The Facebook games Candy Crush and Farmville are casual versions of these RPGs. Trust us: if Facebook is using gamification to keep people on their platform, you should be using it to keep people in your stores. The fact that the followup to Candy Crush, Candy Crush Jelly Saga, pulls in an estimated $66,472 per day gives more evidence to the power of games to make money. A great example of a gamified loyalty program is the Starbucks rewards card. Using their Starbucks card, loyalty program members get various perks according to what level they are. The more they spend, the more points the earn, and the higher the level they get. For example, once a Starbucks card member reaches the “Green” level at five points, they get free brewed coffee refills and a free tall beverage when they buy whole bean coffee. This continues on to the “gold” level where users get a free personalized card, as well as a free drink for every 15 points they earn beyond earning gold status. Another great example of the gamification approach to customer loyalty is Delta Airlines’ Medallion program. Depending on whether the member is Silver, Gold, Platinum, or Diamond, they receive exclusive benefits like early check-ins, waived baggage fees, priority customer support, and upgraded tickets. As customers fly more, they earn more points. This system makes it very tempting for travelers who are already flying frequently to buy just one or two more flights a year. Paid loyalty programs are a bit of a different beast. 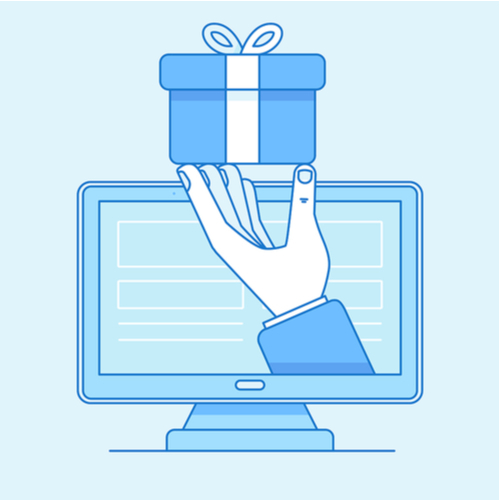 Instead of rewarding users directly for more action, these programs charge customers a flat fee in exchange for access to an upgraded customer experience. These programs work because customers want to get the most value from the money that they’ve already spent. A good example of this is a Costco membership. Since Costco is cheaper than Walmart when it comes to price for food per ounce, members are motivated to get as many savings as they can after spending $60 on a yearly Costco membership. The ultimate example of a paid loyalty program is Amazon Prime. Amazon Prime members pay $11 a month. In exchange, they receive unlimited free two-day shipping, in addition to a host of other benefits. With this strategy, Amazon makes it very easy for people to buy more and more things from the platform. When it comes down to it, a customer loyalty program is an exercise in brand management. Great brands strive to think about everything through the eyes of their customers. For your loyalty program, you should do the same. Also, make sure to have fun while creating your program. This sense of enjoyment will rub off on your customers in a good way. Author Simon Sinek writes about motivation and influencing others in his best-selling book Start With Why: How Great Leaders Inspire Everyone to Take Action. The key point of the book, as it applies to business, is that if you can come up with a meaningful reason for your customers to shop from you, they will stick with you for a very long time. Think about your values as a person and as a business, and how these can apply to a loyalty program – even if it’s just in the messaging you use to talk about it. The next step is to come up with catchy, memorable names for your program and points. In the book Hello, My Name Is Awesome: How to Create Brand Names That Stick, naming consultant Alexandra Watkins explains how anyone can create memorable and effective names. She suggests using the “SMILE” test to vet your names. Ideally, shopping won’t be the only way that your customers can earn points. The more ways that you give them to earn points, the more engaged your customers will be. Now is your chance to think of some juicy “carrots” that will motivate your customers. Make sure to have rewards that your customers can access early on in their loyalty journey, as well as big rewards that the more die-hard customers can build up to. While giving customers the option to redeem their points for your merchandise in the place of cash is the standard, consider offering your customers unique experiences. For example, if you sell cooking equipment, consider offering a cooking class for two. Or, if you’re a wine retailer, offer customers a wine and cheese tasting evening. Step #5: Tell Your Customers About Your Program! The final and perhaps most important step of your customer loyalty program is to make sure that as many of your customers know about it as possible. Put information about the benefits and rewards of your loyalty program in prominent locations, both within your store and on your website or social media platforms (if you have them). If you create a loyalty program that gives your customers enjoyable experiences with your brand, you can keep those customers happy. Happy customers are profitable customers. That means that keeping your loyal customers happy is one of the smartest business decisions you can make.